Located at 306 Grumman Road, Webster’s Import Service provides expert brake repair in Greensboro, NC. You and your vehicle’s safety is more than important to us, and because of this why we offer quality maintenance at an affordable rate. 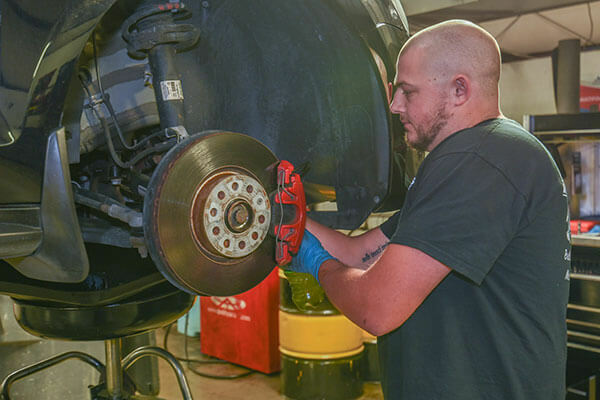 Our goal is to maintain your brakes and avoid costly repairs and unexpected breakdowns. Brakes are the first line of safety when it comes to avoiding a collision or having to avoid an unexpected obstruction. Offering dependable brake repair for less than the dealership is what we do. Our team of ASE Certified Technicians has extensive training and knowledge; no job is too big or too small. All makes and models both foreign and domestic are welcome. Our Customer’s safety on the road is our top priority. If you believe you are having brake problems, stop by and for a courtesy brake inspection. Call (336) 393-0023 or schedule service online today. There are several warning signals your car will alert you of when you need of brake repair. The first and probably most annoying is a loud whining sound when braking. A small metal wear indicator located within your brake pad when exposed, emits a loud noise alerting you to replace your brake pads. The second signal is spongy or delayed braking. This can signal low fluid or a leak in the line. Another warning sign is shaking or vibration. Unbalanced tires can cause this or your wheels may be out of alignment. Lastly, if you hear a loud grinding sound when braking you should pull over and have your vehicle checked at once. This is a sign that your brake pads are gone; metal on metal contact is what you are hearing. If this happens you may need to replace your rotors as well as your pads. Take time to listen to your brakes when in use monthly and avoid costly repairs. If you are experiencing any of these issues, bring your vehicle to Webster’s and let us perform a courtesy brake inspection. Webster’s Import Service of Greensboro, NC is dedicated to proving local, honest, and dependable brake repair to the community. 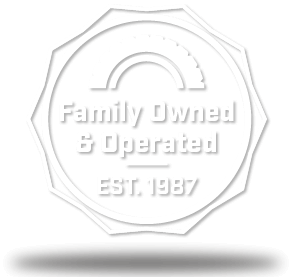 Locally owned and operated since 1987, we take pride is giving small town service that keeps our customers coming back. No pressure, honest estimates, and quality repairs is what makes us your local dealership alternative. Let our dedicated team of professionals maintain your vehicle and keep your car off the side of the road and out of the shop! 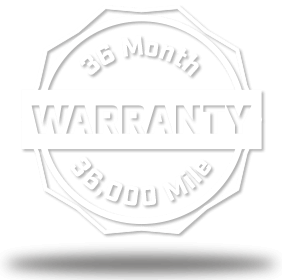 Additionally, we provide an in-house warranty where our parts and labor are guaranteed for 36-months / 36,000-miles. For your convenience, we also provide free local shuttle service. 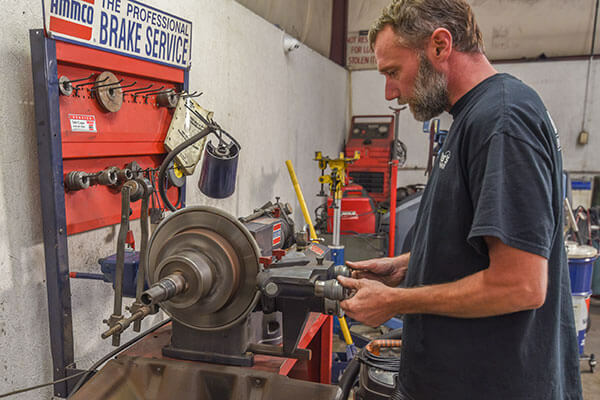 Call (336) 393-0023, stop by, or schedule service online today for complete brake repair and maintenance service.